We would like to thank Chic Intuition for featuring us in their blog (You can check out the review here). 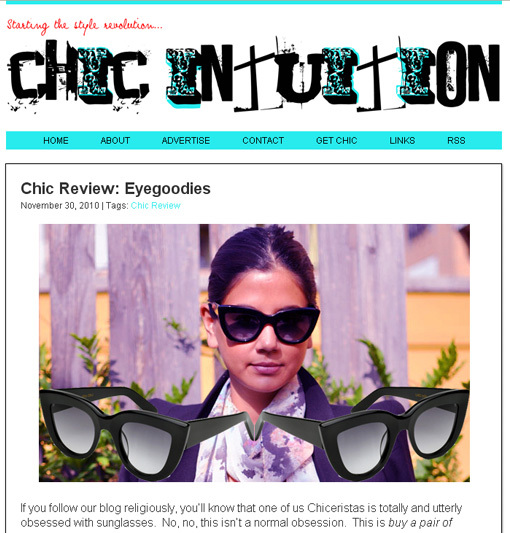 Chic Intuition is a virtual fashion mag-gallery and definitely worth checking out for any fashionista out there. Rihanna was recently spotted in one our favorite brands and pairs of sunglasses: the “Number One” by New Zealand Designer Karen Walker. The Karen walker Number One is a well-fitting feminine shape that ties together many unique style elements. It features modern angular edges, a pulled up line, and Karen Walker’s signature arrows adorning the temples. Worn by Rihanna in the great and unique vintage milky brown color. 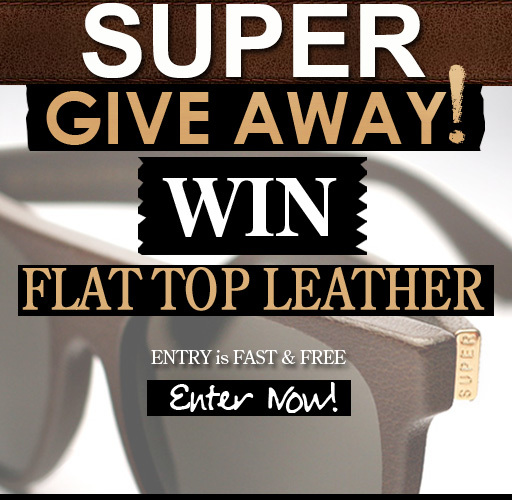 Win Super Flat Top Leather! Enter now. 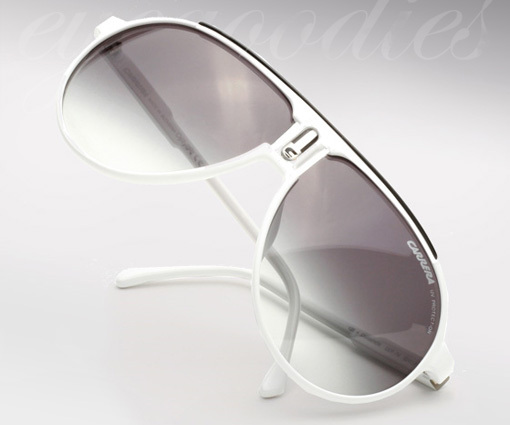 EYEGOODIES GIVAWAY: WIN A PAIR OF SUPER FLAT TOP LEATHER SUNGLASSES. It’s that time again! Time to show our appreciation to our customers and readers by giving away not just any sunglasses, but the new Super Flat Top all leather sunglasses from their new fall/winter 2010 collection. The Lucky two winners, selected November 5th will win their choice of either: Super Flat Top Leather Black OR Super Flat Top Leather Brown (retail price $326! )(*OR winner can select any other Super of their choosing). Don’t miss your chance to win, anyone can enter. 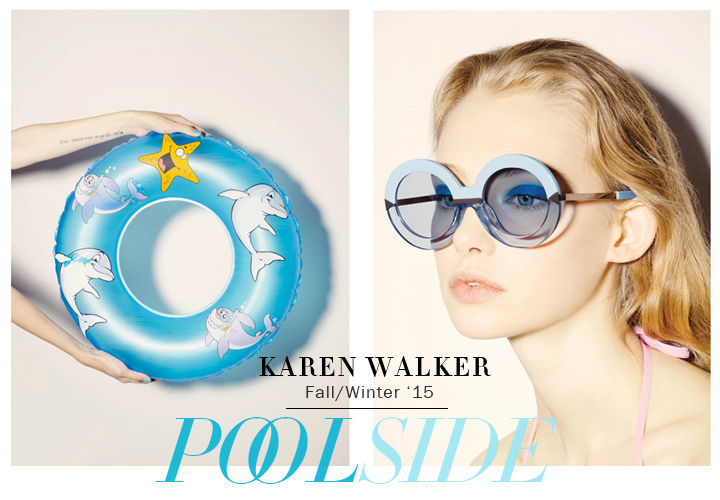 Glad to see one of our favorite brands, Karen Walker Eyewear, getting some much deserved world attention. Thought we would share some of their recent press. Super’s blowing up like we knew they would, and you know eyegoodies.com’s the best place to get the goods. Eyegoodies.com in this month’s June 2010 issue of InStyle and Teen Vogue Magazines. If you find yourself browsing through this months InStyle or Teen Vogue Magazines, be sure to keep an eye out for us. It’s just a small where to buy blurb. 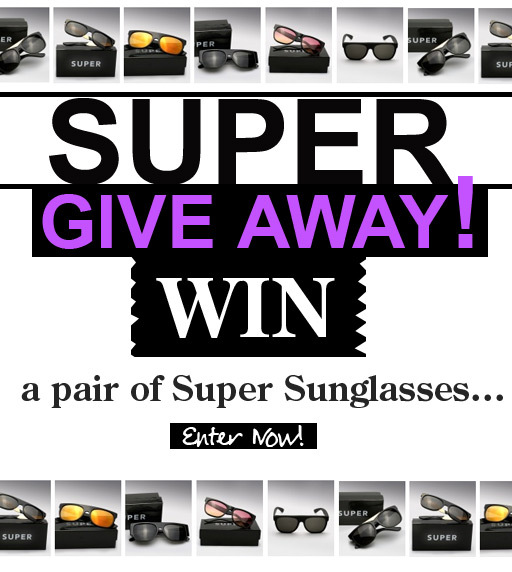 Win Super Sunglasses! Enter now. Here we go! We love to give back and what better way than to show our appreciation to you, our customers, then to give away two pairs of Super sunglasses from Retro Super Future. The lucky two winners, selected on March 10th, will receive any pair of Super sunglasses they want from our site. Don’t miss your chance to win, anyone can enter. The 2010 52nd Annual Grammy Awards was filled with great performances. For any rap fan, one can’t miss performance was by none other than Lil Wayne, Eminem, and Drake all performing “Drop The World-Forever”. 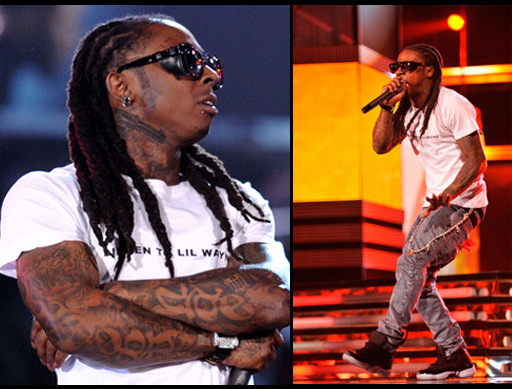 Lil Wayne no stranger to Super sunglasses can be seen rocking one of our favorite shades: the Super Topski Black sunglasses. 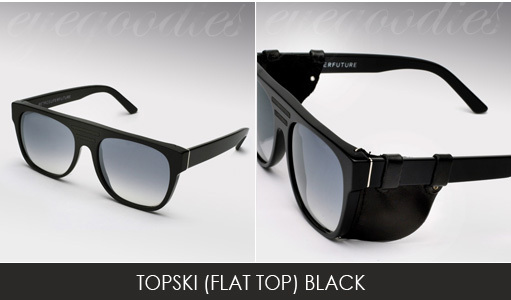 The Super Topski is a new twist on traditional Super Flat Top. For high glare environments, whether the beach, the slopes, or to shade those bright lights, you can attach the old school leather side shields. Check out the full video of Lil Wayne, Eminem, and Drake performing at the Grammys. Love her or hate her, no one can ever say Lady Gaga is boring. The latest video from Lady Gaga “Bad Romance”, off her upcoming album The Fame Monster, she can be seen sporting this years all popular Carrera Champion sunglasses. Available right here at eyegoodies.com. Also be on the look out for a few new Carrera aviators, that will be up just in time for the holidays. 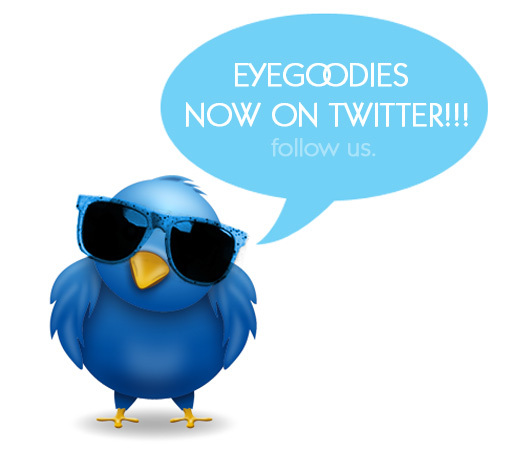 Eyegoodies.com is now on twitter, be sure to follow us for all the latest updates. While we’re not usually ones to boast, we can’t help but to feel good when others show us some love. This recent press is regarding our Persol 714 Thomas Crown edition, featuring custom blue lenses (as featured in our Persol Sunglasses post). 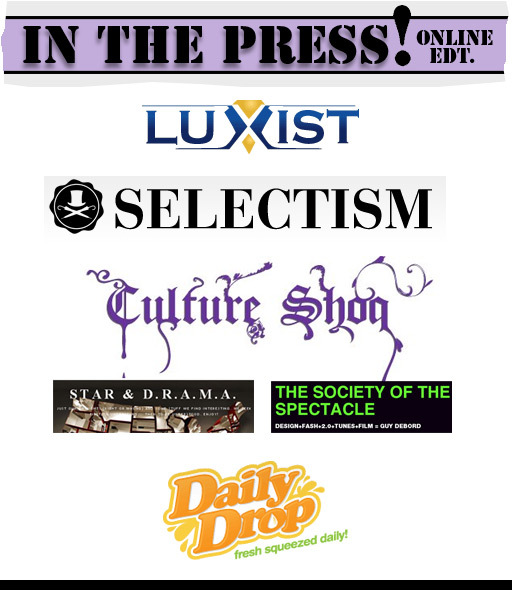 Continue to take a better look at some of our recent online press.